The foes of the Electoral College are back in the news. 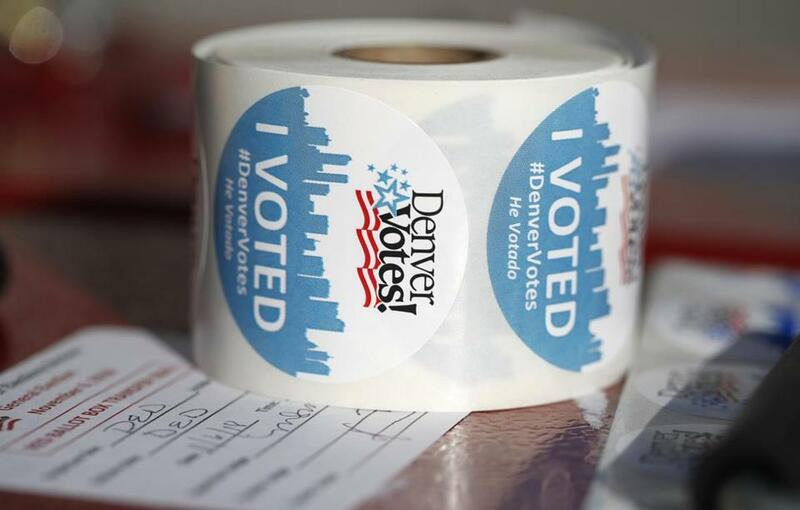 Colorado legislators recently voted to make their state the 13th (including the District of Columbia) to join the National Popular Vote compact, which is designed to circumvent the Electoral College by having states cast their electoral votes for the candidate who wins the most popular votes nationwide. By its terms, the arrangement only takes effect when it has been adopted by enough states to reach 270 electoral votes, the total needed to win the White House. The Colorado bill, which still requires the signature of Governor Jared Polis, brings the number to 181. That would increase to 184 if Delaware joins the compact, as its state senate voted to do last week. The standard indictment of the Electoral College is that it’s antidemocratic. It is, of course: The framers of the Constitution devised it deliberately as a check on direct democracy, one of many such checks and balances — think of the power they entrusted to unelected Supreme Court justices, or to a Senate in which states, not people, are equal. Again and again, the Founders went to great lengths to thwart blind majority rule, not wanting important national decisions to be driven by unbridled public emotion, populist demagoguery, or the passions of the mob. The direct election of the president, argued Elbridge Gerry as the Constitution was being drafted in the summer of 1787, could lead to “radically vicious” outcomes. Hence the interposition of an Electoral College, which ensures that presidents are elected not in one national plebiscite, but through elections within each state to choose electors. Thanks to the Electoral College, it isn’t enough for presidential candidates merely to pile up votes in the few states where they are most popular. In order to win, they must demonstrate appeal across numerous states. And because electoral votes have almost always been awarded on a winner-take-all basis, candidates have a powerful incentive to focus in particular on “swing” states — they work extra hard to carry states where the public is closely divided, because the reward for doing so is significant. The ticket that racks up the most votes nationwide nearly always wins a majority of the Electoral College. But twice in the last two decades, the popular-vote winner lost the electoral vote. Both times a Republican ended up in the White House, which explains why so many Democrats are now on the warpath against the Electoral College. All the states that have voted to join the National Popular Vote compact are solid blue states; except for Colorado, none has voted Republican in a presidential election for at least 30 years. Had the compact been in force in recent elections, the candidates those states supported — Al Gore in 2000, Hillary Clinton in 2016 — would have become president. The popular-vote pact would have ratified the choice made by most voters in those states. But in 2004, when the popular vote was won by George W. Bush, 12 of the states in the compact voted for John Kerry. Enforcing the compact then would have meant overturning the will of the voters in those states. Critics of the Electoral College denounce it as undemocratic. But what could be less democratic than state legislatures deliberately nullifying the choice of a majority of their state’s voters? For a nation like ours — ideologically quarrelsome, geographically vast, socially diverse — the advantages of the Electoral College far outweigh its drawbacks. It guarantees that no one can become president without demonstrating an appeal that crosses state, regional, and communal lines. It makes victory all but impossible for candidates who write off whole constituencies of Americans — Mitt Romney’s “47 percent,” Hillary Clinton’s “basket of deplorables” — even if those candidates are intensely popular in a few specific states or within a narrow demographic slice. Above all, it balances federalism with democracy: It preserves the central role of the states in American life without sacrificing the principle of one-person, one-vote. With good reason, Alexander Hamilton pronounced the Electoral College system an “excellent” arrangement. With good reason, it has endured for 225 years. Presidents come and presidents go, but the Constitution’s system for choosing them is here to stay.